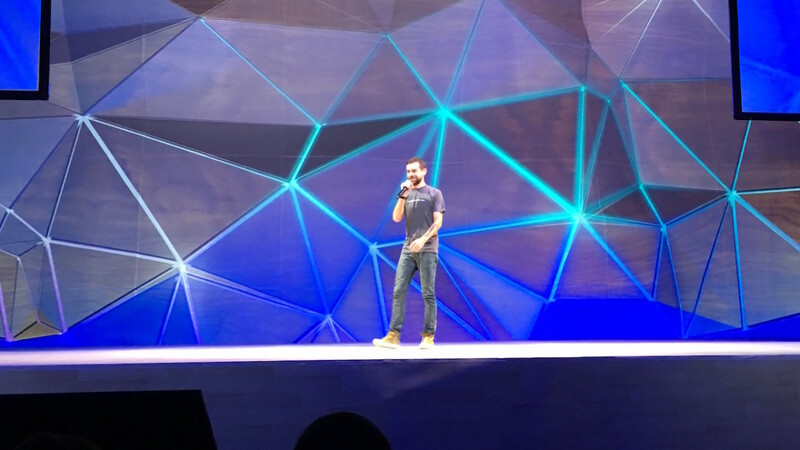 In opening Twitter Flight, Jack Dorsey took to the stage to address developers. It’s no secret that Twitter ran afoul of the developer community some time ago when it restricted its once wide open API. Sridharan also says the current crew at Twitter is mostly newer blood, and has no first-hand context for what happened all those years ago. It was messy, though — and Twitter hasn’t quite rebounded with developers. Looking back, it’s easy to see Twitter was making a move to position itself where it is now: a company that has a ton of data, a lot of dedicated users, and leverages both to monetize. Twitter is a business, and all businesses must make money. But Twitter also wants to help developers make money, and build really cool stuff. Twitter Flight 2015 is the first example that Twitter wants to power what developers are doing, end to end. Fabric is already robust enough for things like crash reporting and sign-in, but Twitter is also rounding it into shape for everything else developers may need. With nine new SDKs, Twitter is partnering with services like Stripe, using Fabric as a platform. What we’re very consciously doing [now] is focussing on use-cases. People want to build great apps, that’s why we have Fabric. All the tools in Fabric solve specific needs, basically all the hard problems we encounter when building our own apps. At this point, Twitter is ready to catapult itself into a new era by massaging its old model of growth via developers into something that fits a modern age. Many of the products and services introduced, like curation and managing customer service via Twitter, are all meant to put more eyes and users onto the platform. But how does Twitter consider developers? At this point, a schism has been created — one Twitter brought on. I want to talk to you today, first and foremost to apologize to you. We want to reset our relationship, and we want to make sure we are learning, listening and rebooting. That’s what today represents. We want to make sure we have a great relationship with our developers. We want to have an open and honest relationship, and that we’re providing a service everyone can use. One of the reasons great developers like you come to Twitter is because of what we stand for. We can’t stand alone. We need your help. In order to earn that help, we have a responsibility to you. We have a responsibility to communicate our roadmap in a clear and transparent way. We have a responsibility to have an open dialogue to make sure we are serving you in the best way. We need to make sure we’re serving all of our developers in the best way because that’s what’s going to make Twitter great. We need to listen, we need to learn and we need to have this conversation with you. We want to start that today. It’s going to take some time, it’s not going to happen overnight, but I can promise you that we will make the right decisions and service this community in the right way. In my experience this week at Flight speaking to various Twitter employees, it’s clear there’s a narrow focus on providing great tools for developers. An example: with Fabric, the team dedicates itself every Monday to bringing added value to developers by the end of each week. Seriously. At one point many years ago, Twitter decided to walk its API back to take control. On one hand, that control is now being realized. It still has full control over the APIs, but they’re now dedicated to use cases. That was likely the lesson it learned. Even though instances of services and apps running afoul of the old API were rare, they happened. It’s likely developers only wanted to access one angle of info that API provided, but a full-scale assault by disparate interests likely caused some panic for Twitter. Of all the Twitter employees around this week at Flight, only Dorsey can speak to what happened all those years ago — and he did. The old developer guard may not be able to turn the page on the past, but Twitter has. The company listens, responds to and cares about what developers want. It acknowledges that at one point, it left them wanting. Twitter knows it fucked up. Jack has apologized, and the company is building one of the better set of tools for developers to take advantage of; maybe even the best. Jack’s acknowledgement of Twitter’s past mistakes strikes me as sincere, too. That openness seems to reverberate throughout the entire Twitter team. It may be the same company — but at least where developers are concerned — in name only. Meet the new boss — nothing like the old boss.